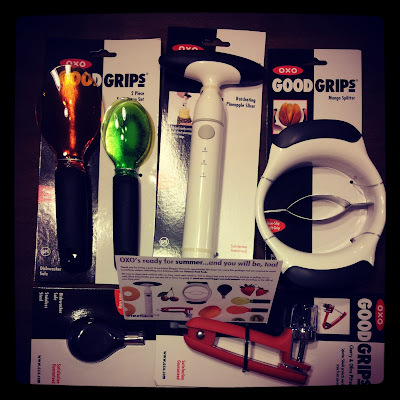 Earlier this month I received a fun gift from OXO company: a bunch of different tools to make fruit prep easier. Since I already have and LOVE their cherry pitter, I gave my old one to my friend Cindy and am keeping the pretty red one. 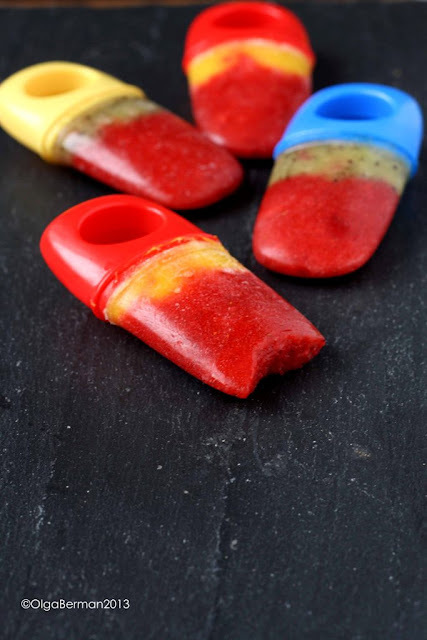 I decided to try out the strawberry huller, mango splitter and the smaller of the fruit scoops to make popsicles!!! 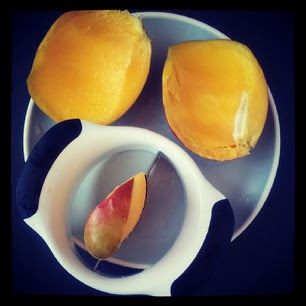 Here's my opinion of the tools: they work best when they are the right size for the fruit. You need to match them up pretty well, or otherwise the job might be slightly difficult. 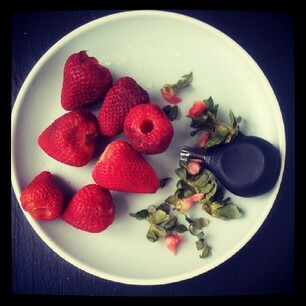 My favorite of these three was the strawberry huller! And now for the Two Tone Popsicles! There really isn't a recipe to this. I basically pureed each type of fruit separately with just a bit of water. You can also add a sweetener of your choice, but I thought my fruit had enough natural sugar. 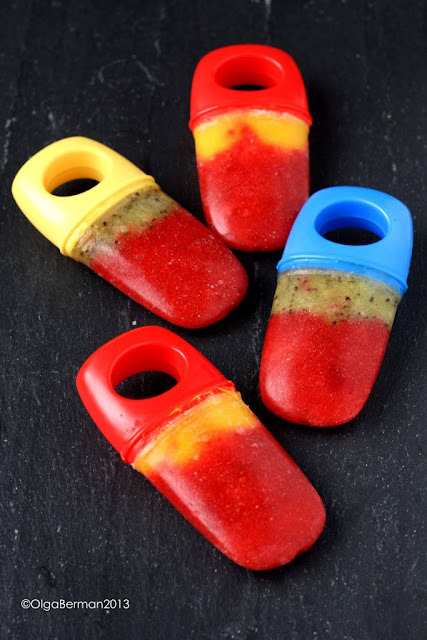 I then filled my popsicle molds a third way up with one type of the fruit puree and set it in the freezer for 5 minutes. 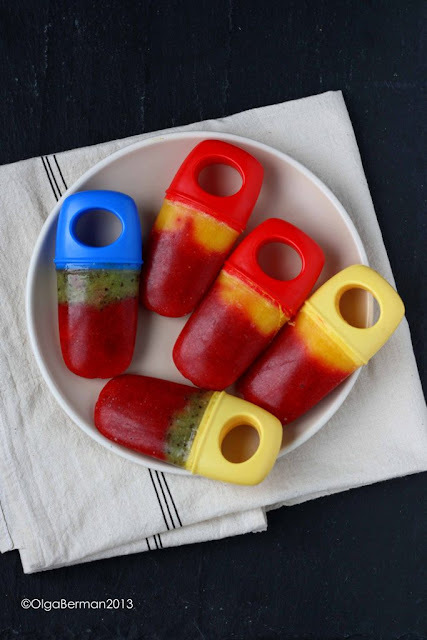 I then filled the molds with a different type of fruit puree, put the top on, and set in the freezer until the popsicles were all done. 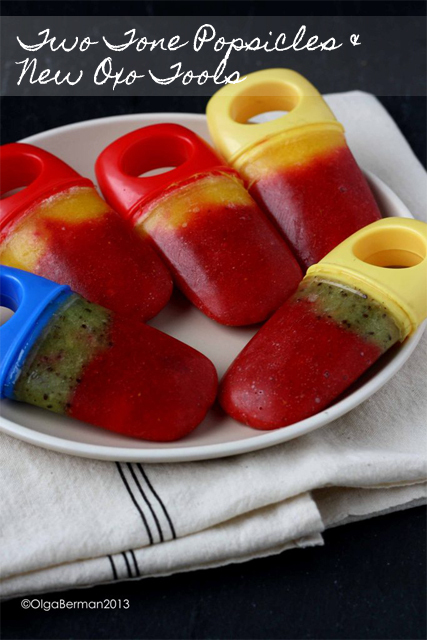 These make a great summer treat and a healthy dessert. 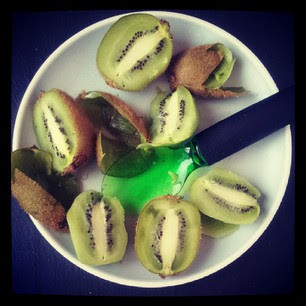 You can go crazy coming up with different fruit combinations. And I just LOVE the colors!!! Disclaimer: OXO sent the tools to me free of charge. I was not compensated for this post. All opinions are my own. That mango tool looks pretty rad. I always have a hard time prepping mangoes. 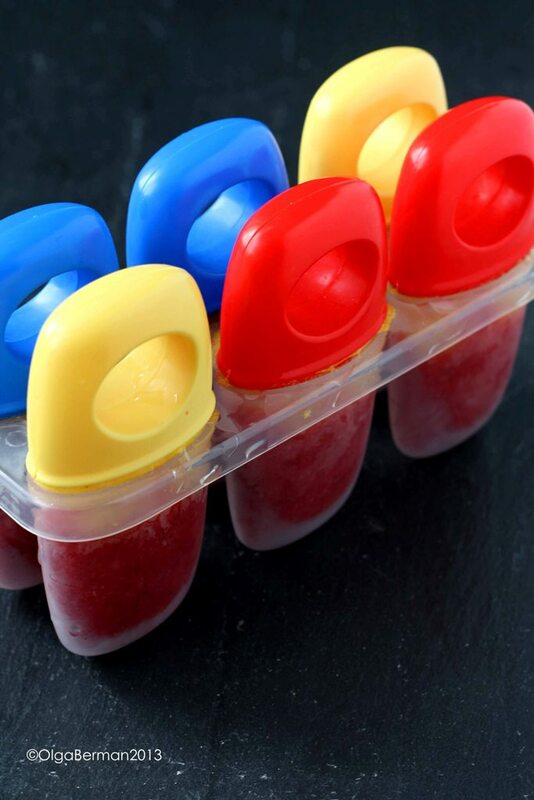 Can you tell me where you got those popsicle molds? I've seen them on several blogs but no on ever gives a brand or store where they got them! They look like the perfect size and handles for little hands! Thanks!